Jimmy Seymour ... from his infancy had a genius to drawing of horsesthis he pursued with great spirit, set out with all sorts ... The darling of his Father run thro some thousands - livd gay high and loosely - horse racing gaming women &c. country houses. never studied enough to colour or paint well. but his necessityes - obliged him. to work or starve. thus his time passd. the latter part of his life in baseness and want of all necessaries. and dyed in Town. in the lowest circumstances & in debt – Southwark June – 1752. aged about or under 50. Seymour spent his early years establishing a burgeoning reputation for sporting paintings, and by 1739 the Universal Spectator (a London newspaper) stated that 'James Seymour is reckoned as the finest draughtsman in his way of horses and hounds, in the whole world'. He had acquired quite a number of patrons over the years, a key one of which was Charles Seymour, 6th Duke of Somerset (The Proud Duke). The Duke commissioned Seymour to decorate a room at Petworth House, West Sussex, a house that he had rebuilt in the early 1700s. 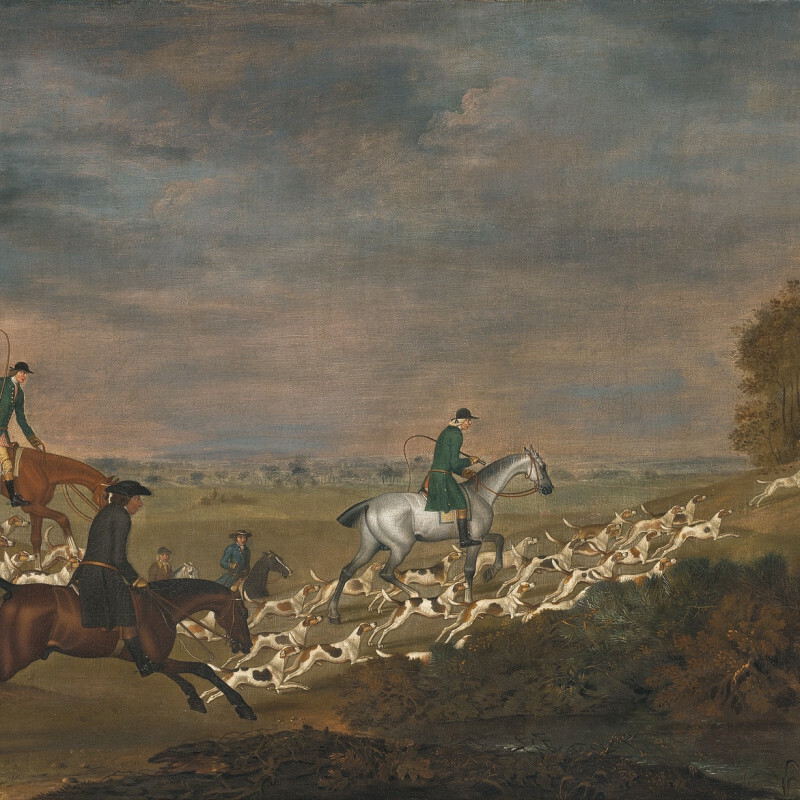 Seymour started a number portraits of the Duke's racehorses, but was subsequently scolded and dismissed by the Duke because Seymour insisted on his claim to a family connection.